There are two parts to this exercise: setting up your UW server and uploading a new HTML file to your UW server. Create a directory structure like you see in this screen capture. 2. 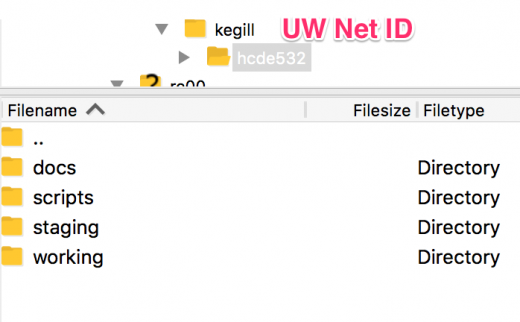 Upload a new HTML file to your UW web server. A table with one header row, two additional rows, and two columns. Then upload this new index.html file to your UW web server in your working directory.